If you are grad looking for an internship position in a company which uses Java, or a fresher, just out from college and looking out for Java development position, then this post is for you. 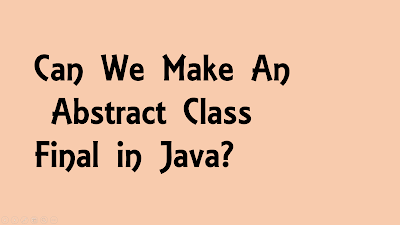 I have attended, taken and participated in a different level of Java interviews, and I can say there is a huge difference between them, which is not surprising because you obviously want to ask different level questions based upon whether the candidate is fresher or experienced. 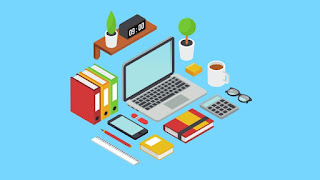 Similarly, the question at phone interview, written test, and face to face interviews, keeping this in mind, and give you always have a limited amount of time before going for an interview, It's important to prepare right set of questions. Well, I can't guarantee that you will see questions from this set on your interview but it gives you an idea about the level of questions you can expect in any Java internship or Software trainee positions. Don't bother about multithreading and complex topic, only basic knowledge of threads is enough. Similarly, put more emphasis on the data structure, algorithms and object-oriented basics like Inheritance, Composition, Encapsulation, Polymorphism etc. Similarly, Java interviews are not just about Java questions, it is also expected from you that you know computer fundamentals, basics of Linux and SQL, basics of designing a software, coding, networking fundamentals etc. Once you have good ideas on those topics you are ready for your interview. 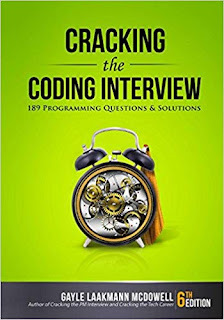 Though, if you are confused about how to prepare well for all those topics, I can suggest you to two ways, read a book like Cracking the Coding Interview by Gayle Laakmann McDowell, which contains 189 questions and their answers on all these topics. The second way is to join a course like The Coding Interview Bootcamp: Algorithms + Data Structures by Stephen Grider. Though it is not as comprehensive as the Cracking the Coding interview book, it does explain the most important thing algorithms and data structure. You can also supplement your preparation through courses by joining a couple of others to prepare SQL, Java, Linux etc. I have shared my full list of courses for coding interviews here, which contains some of the best courses to prepare well for programming job interviews. Anyway, let's start with some of the basics Java questions a programmer with 1 to 2 years of experience should know. That's all in this list of interview questions for preparing Java internship and Software developer positions. These questions are just to give you an idea of level, which is expected from fresher’s and trainees. Keeping yourself on to a higher level will surely benefit you. Don't forget to share what kind of questions was asked of you in a fresher level interview.